Legionella. 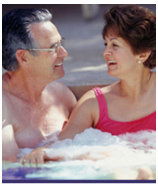 Learn how to properly disinfect your hot tub. 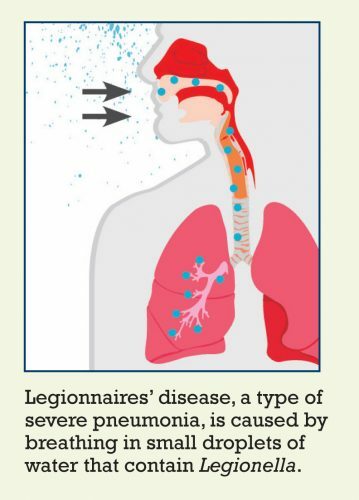 Legionellosis is the general term for two distinct forms of illness caused by Legionella bacteria: Legionnaires’ disease, which can be severe and include pneumonia, and Pontiac fever, a mild flu-like illness. Legionnaires’ disease was named in 1976 when an outbreak of pneumonia occurred among persons attending a convention of the American Legion in Philadelphia. 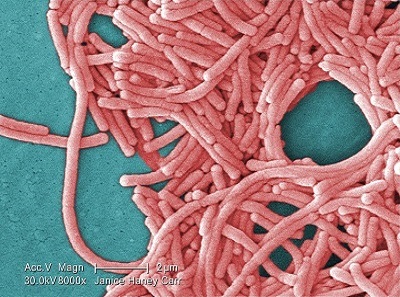 Onset of symptoms of Legionnaires’ disease typically occurs 5 or 6 days after exposure to Legionella bacteria, but the incubation period can range from 2 days to almost 2 weeks. Early symptoms of Legionnaires’ disease include muscle aches, headache, loss of appetite, tiredness, and cough. These symptoms are often followed by chills, diarrhea, and high fever. Chest x-rays may indicate progressive pneumonia. It is difficult to distinguish the disease from other types of pneumonia by symptoms alone. Other tests are needed to diagnose the disease. Persons with Legionnaires’ disease often require hospitalization, and the disease is fatal in about 10% of cases. Persons with Pontiac fever most often start to develop symptoms 24–48 hours after being exposed to Legionella bacteria, but symptom onset can range from a few hours up to 3 days. Symptoms of Pontiac fever include fever and muscle aches, with no pneumonia. In contrast to Legionnaires’ disease, Pontiac fever is not a potentially life-threatening illness. Legionellosis is the most common cause of waterborne disease outbreaks in the United States. Infection occurs directly from the environment. You can get legionellosis through the air by breathing in mists from a water source containing the bacteria. The bacteria can be found naturally in fresh water environments such as lakes and streams, but human-made water systems—e.g., plumbing systems and hot water tanks, air-conditioning cooling towers, whirlpool spas—are the most frequently documented sources of human infection. Legionellosis is not associated with car or household window air conditioners. Outbreaks occur when two or more individuals are exposed to Legionella bacteria in the same location and get sick around the same time. 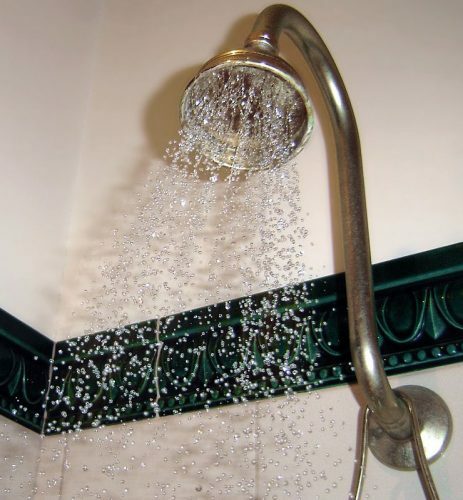 Outbreaks have been reported in association with buildings or structures that have complex water systems, such as hotels, hospitals, long-term care facilities, and cruise ships. 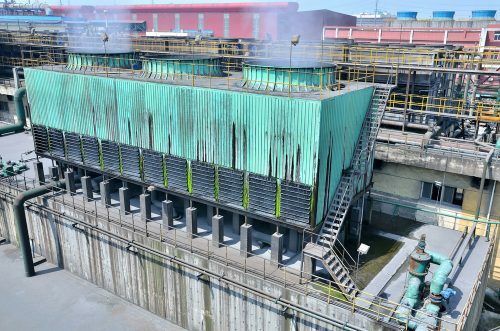 The most likely sources of infection include water used for showering, hot tubs, decorative fountains, and cooling towers (parts of centralized air-conditioning systems for large buildings). In general, Legionella infection is not spread from one person to another, but person-to-person transmission may be possible in rare cases. Most people with Legionnaires’ disease develop pneumonia, which is diagnosed by physical exam or by confirmatory findings on chest x-ray. The Legionella urinary antigen test detects the presence in urine of Legionella pneumophila serogroup 1, the most common cause of legionellosis. If the patient has pneumonia and the urinary antigen test is positive, then the patient is considered to have Legionnaires’ disease. Culture (isolating and growing the bacteria on special media) of respiratory specimens is another important method used to diagnose this disease. Polymerase chain reaction (PCR) testing of lung tissue and other clinical specimens may also be performed for rapid diagnosis of pneumonia caused by Legionella bacteria. Pontiac Fever can be confirmed by urine antigen or paired sera (blood specimens), but a negative test doesn’t rule out the diagnosis. It is often diagnosed clinically in the setting of other laboratory-confirmed legionellosis cases. Culture cannot be used to diagnose Pontiac Fever. A doctor can prescribe antibiotics to treat Legionnaires’ disease. People with Pontiac fever recover without specific treatment. Antibiotics apparently do not affect recovery time and so are not recommended to treat Pontiac Fever. 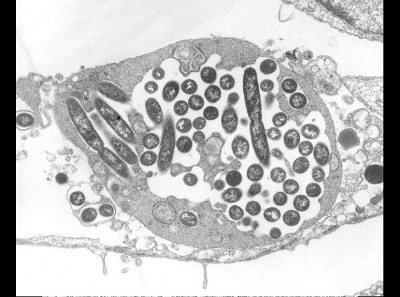 Exposure to Legionella bacteria may elicit long-term, strain-specific immunity. Cases and outbreaks of legionellosis are often associated with hotels and resorts, long-term care facilities, hospitals, cruise ships and other structures that have large, complex water systems and use aerosol-generating devices. Nationally, over 10-15% of reported cases of Legionnaires’ disease are travel-related. Because Legionella bacteria can be found in many places in the environment, there is very little an individual can do to prevent exposure. However, some preventive measures can be taken by industry to reduce the risks. These measures include improving the design and maintenance of plumbing systems and cooling towers, periodic draining and cleaning of cooling towers, and use of chemicals to prevent the growth and spread of Legionella bacteria in air conditioning cooling towers and evaporative condensers. There are no vaccines that can prevent legionellosis. Prevention of healthcare-associated Legionella disease and scald injury from potable water distribution systems. VHA Directive. 1061;2014. Guidelines for Environmental Infection Control in Health-Care Facilities Recommendations of CDC and the Healthcare Infection Control Practices Advisory Committee (HICPAC, 2003; Last update: February 15, 2017). Beer KD, Gargano JW, Roberts VA, et al. Outbreaks associated with environmental and undetermined water exposures — United States, 2011–2012. MMWR Morb Mortal Wkly Rep. 2015;64(31):849–51. Beer KD, Gargano JW, Roberts VA, et al. Surveillance for waterborne disease outbreaks associated with drinking water — United States, 2011–2012. MMWR Morb Mortal Wkly Rep. 2015;64(31):842–8. Benin AL, Benson RF, Arnold KE, et al. An outbreak of travel-associated Legionnaires’ disease and Pontiac fever: the need for enhanced surveillance of travel-associated legionellosis. J Infect Dis 2002;185:237–43. Dooling KL, Toews KA, Hicks LA, et al.Active Bacterial Core surveillance for legionellosis – United States, 2011–2013. MMWR Morb Mortal Wkly Rep. 2015;64(42):1190–3. Garrison LE, Kunz JM, Cooley LA, et al.Vital Signs: Deficiencies in environmental control identified in outbreaks of Legionnaires’ disease – North America, 2000–2014. MMWR Morb Mortal Wkly Rep. 65(22):576–84. Kozak NA, Lucas CE, Winchell JM.Identification of Legionella in the environment [23 pages]. Methods Mol Biol. 2013;954:3–25. Kunz J, Cooley L. Preventing Legionnaires’ disease: Environmental health expertise is key. J Environ Health. 2016;79(1):24–6. American Society of Heating, Refrigerating and Air-Conditioning Engineers, Inc. ANSI/ASHRAE Standard 188-2018, Legionellosis: Risk Management for Building Water Systems. Publication may be purchased from ASHRAE. Use both a urinary antigen test and culture of a lower respiratory specimen when testing patients for Legionella. The preferred diagnostic tests for Legionnaires’ disease are culture of lower respiratory secretions on selective media and the Legionella urinary antigen test. Serological assays can be nonspecific and are not recommended in most situations. Best practice is to obtain lower respiratory specimens for culture at the time urinary antigen testing is ordered, preferably before the administration of antibiotics. The urinary antigen test detects Legionella pneumophila serogroup 1, the most common cause of Legionnaires’ disease; isolation of Legionella by culture is important for detection of other species and serogroups and for public health investigation. Molecular techniques can be used to compare clinical isolates to environmental isolates and confirm the outbreak source. If your patient has Legionnaires’ disease, see the most recent guidelines for treatment from CDC . URGENT category: HDOH requires that Hawaii Health Care Providers report cases of Legionellosis by calling (808) 586-4586. The telephone report should be followed by a written report (i.e., Communicable Disease Report) submitted by mail or fax to the Disease Investigation Branch or the applicable District Health Office within three days; respective mailing addresses and fax numbers are listed on the Communicable Disease Report form.